The attempts of a South African man, Lesiba Kekana to appeal the length of his sentence for killing his own four sons backfired after the sentence was increased from 52 years to life imprisonment. Kekana’s lawyers argued that he was supposedly grief-stricken after the loss of the sons he himself murdered and this should lead to his sentence being reduced. The five judges hearing the case disagreed. Judge Tati Makgoka, speaking on behalf of all the judges, called the argument “egregious in the extreme” and promptly upped Kekana’s sentence to life. 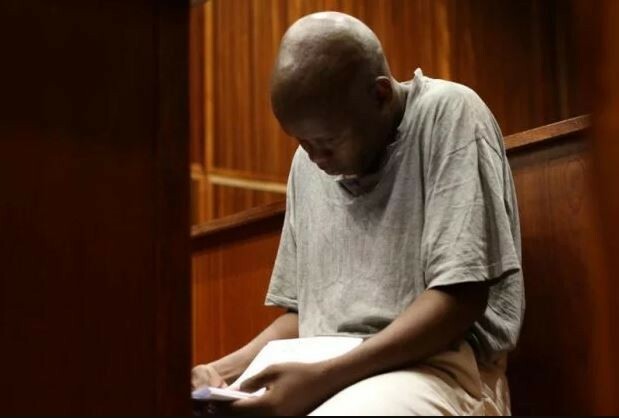 Kekana pleaded guilty to slitting the throats of his four boys in 2015, in Limpopo, reportedly due to his discovery that his wife had been unfaithful. It emerged in the trial that he had made his wife listen on the phone as one of the children was killed. In 2016, Judge Joseph Raulinga ruled that although Kekana had “shown no mercy” and “slaughtered” his children like “sheep”, he could not impose a heavier sentence because when he pleaded guilty, Kekana had invoked a section of the Criminal Law Amendment Act that relates to murders that are not premeditated. In his judgment regarding the appeal on October 31, Makgoga ruled that the facts of the case show the murder was indeed premeditated, and that the fact that the victims were his owns sons meant his previous sentence was too lenient. “The sentence that is imposed should… reflect the community’s indignation over [the father’s] ghastly deeds,” Makgoga ruled.